Welcome to the Classics Tour stop highlighting The Golden Age of Detectives. There are three reasons I read this book. -I bought it around this past Halloween after seeing it on a display there. -I have been meaning to read Agatha Christie for awhile now, so this tour was the perfect chance to do it. -I have been yearning to read mysteries for the past month now. So you see, reading Murder on the Orient Express killed a lot of birds with one stone. First off, you should probably be aware that thus is a Hercule Poirot book, meaning that it centers around the detective by that name, also featured in many of Christie’s other works. Hercule is traveling home after an investigation aboard the Orient Express when, all of a sudden, the train is brought to a halt, both literally and metaphorically. You see, they are stopped by a huge blizzard around the same time as an American businessman is killed in his room. It becomes apparent straight off that the killer has to be someone that is actually on the train. Poirot is quickly appointed as the investigator of the murder and he sets forth searching the train as well as interviewing the other inhabitants. Obviously I have no wish to spoil the storyline for you. I will just say that a lot of strange clues are unearthed and the actual culprit was not whom I expected. The one person whom I suspected almost straight off the bat seemed culpable from almost the beginning but at the same time I figured it would have been too easy had I discovered the killer straight off, so I figured I had been wrong. I think Christie does a great job of weaving together a good mystery, although I only have this one book to go by. It was absolutely charming and a quick, engaging read. It induced me to try to read more of Christie’s books, so I have reserved her very first book from my library, which I understand is also a Hercule Poirot book. Also, I discovered a fun Agatha Christie challenge! 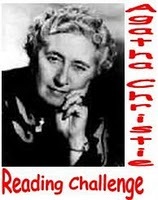 The Agatha Christie Reading Challenge is a perpetual challenge hosted by Mysteries in Paradise and the goal is to read all of Christie’s books in the order in which they were written. From what I understand, there are 87 books out there, of which I believe 60 some are actual novels while the rest are short story collections. I very well could be wrong on this though. Apparently she also wrote romance novels under the pseudonym Mary Westmacott, but whether those books are part of the challenge, I cannot say. Either way, I do hope to read as many of Agatha Christie’s books as possible, although I plan to skip the short stories and the romances. What about you? Are you a fan of Christie’s? If so, what books of hers are your favorites? A Library is a Hospital for the Mind . . . Welcome to the Classics Circuit. This month’s featured author/theme is Georgette Heyer. I want to start off by admitting that this has been my most anticipated tour yet. That is somewhat shameful to me because I sign up for the tours in order to have motivation to read classics that I have yet to read. However, I need no encouragement when it comes to Heyer. I hadn’t even heard of her until I began blogging this past August and a few months after that, I read The Convenient Marriage. The wonderful thing about Heyer is she takes Jane Austen-esque themes and time periods and makes them modern and hilarious without being over-the-top. And let me tell you, they are SUPER readable. Frederica is the story of the Merriville orphans. They have come to London under the tutelage of oldest sibling Frederica. Frederica’s goal is to introduce her sister Charis into society so that a well to do marriage can be established. Charis is drop dead gorgeous but takes absolutely no note of it. She is a very humble girl but seemingly dingy as well. Frederica is the opposite—considered pretty, her looks pale in comparison to those of Charis, but all the common sense Charis lacks, Frederica has in excess. The two girls are accompanied by their younger brothers Jessamy and Felix. Head of the household Harry is away at school. I wonder if anyone who has read this book could not have fallen in love with Felix. He is the youngest (twelve I think . . . maybe younger) and he is as mischievous as they come. Much of the book involves Felix and his childish antics. He is one of the most loveable characters in fiction, in my opinion. 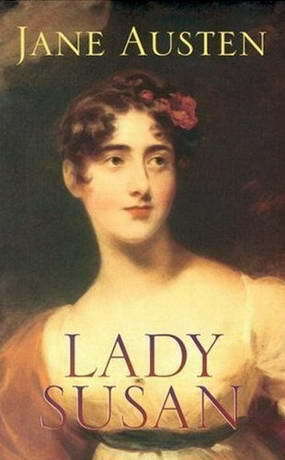 So anyway, the Merriville’s move to London and Frederica decides she must encroach upon her distant relation, Lord Alverstoke, in order to have Charis introduced in society. Lord Alverstoke is quite selfish, but in an odd way. I guess because of the fact that he realizes his character flaws, Lord Alverstoke is a very likeable character. He decides to act as guardian and introduce Charis at a “ton” held at his home in honor of his niece Jane. In fact, he only agreed to host the gathering as a way to get back at Jane’s mother, Louisa, his sister, because she was always pestering him to things for her as if it were his duty. Louisa is relentless, and she is aghast and infuriated when she sees Charis at the ton and realizes what a beauty she is. I really haven’t delved too far into the book synopsis at this point, but I think the little I have described embodies the merriment of the whole book. Even with hystertically funny books, I usually only laugh on the inside, but with Frederica I was whooping it up as I read. Take this exchange between Lord Alverstoke and his sister Louisa. “Oh, no, not then!” he agreed. That is just a small taste of Lord Alverstoke’s wit. Like I said earlier, he’s a likeable character and very entertaining as well. Frederica is also quite likeable, even when you’re not entirely sure if she is doing the right thing. She is overly sensible, to the point where she refuses to do anything herself and instead lives for the fulfillment and happiness of her siblings. As far as characters I didn’t particularly care for—I loathed Harry. He was such a good for nothing and because Frederica was able to take better care of the family, he attempted to undermine her. I also found Charis somewhat deplorable, although I almost felt guilty for it because she was such a nice girl. I just got irritated by the way she acted towards the end. On one hand, I wanted her to stand up for herself, but on the other hand she did it so half heartedly that I couldn’t respect it. 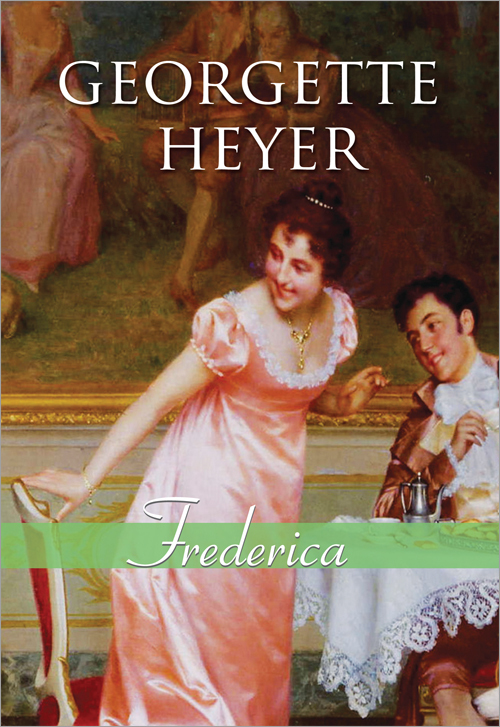 One thing I thought of while reading Frederica is that a Georgette Heyer challenge would be so much fun. And then I discovered that there is one! 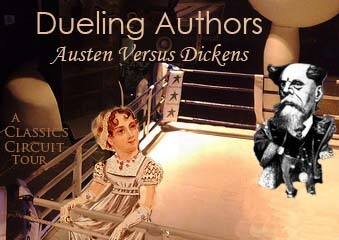 It’s a perpetual challenge hosted by Becky of Becky’s Book Reviews and you can find more info here. I would like to read more of Heyer, so I am going to strive for one of her books every three months (that’s four a year!). Hopefully I can read Why Shoot a Butler ? Soon since it’s been languishing on my shelf since Halloween! In closing, I would just like to implore any of you who haven’t read any of Heyer’s work to do so ASAP. You won’t regret it. Today I am a stop on the Harlem Renaissance tour for the Classics Circuit. 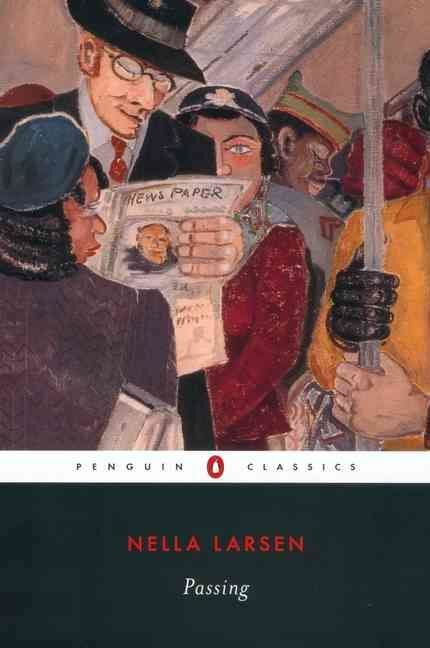 I decided to go with an author I had absolutely no familiarity with whatsoever–Nella Larsen. I didn’t know what to expect going into the book, but I anticipated a great exploration of race relations in the 1920s. Passing is the story of Clare Kendry and Irene Redfield. The two women grew up together and meet again by chance as adults on the roof of the Drayton, a hotel in Chicago. Both women are “passing”, meaning that they are black women that are light skinned enough to pass as white women. Irene passes only occasionally, as she is doing on the day she meets up with Clare, whereas Clare has completely adopted the life of a white woman. One of the most unbelievable aspects of Passing is that Clare’s husband, John Bellew, is not only unaware of his wife’s race, but he is also a raging racist. As Clare and Irene begin to see more and more of one another, the danger of John discovering Clare’s true origins becomes more realistic. John’s behavior was unbearable at times. He was always openly racist when speaking with Clare, Irene and their aquintances because he is ignorant to the fact that he is degrading their own race. Irene was incredulous that Clare could stomach living with someone who felt so disparagingly towards her race, and I agree 100%. It was pathetic that somone could be so ready to turn on their own race to the point where they would continue to live with someone who continually put them down on the basis of their race, whether knowingly or unknowingly. On a side note, I want to make a brief complaint. My biggest concern with this book had to do with this edition. As is always the case, I read the introduction first. This seemed fitting, as the introduction was at the beginning of the book. You would figure an introduction would fulfill the purpose of doing what it imples–introducing a reader to the text. I got more than I bargained for in this case. The introduction completely spoiled the end of the book. Even after finishing Passing, I am aggravated at the fact that the ending was spoiled for me. Suffice it to say, I would have been completely shocked by the ending and would have preferred to have it reveal itself to me naturally. Ok, back to Passing. I don’t feel like I connected all that well with any of the characters but it was a compelling story and I especially loved Clare’s character because of her colorfulness and I liked that she seemed like she was finally breaking free of the facade she was hiding behind. It is my pleasure today to host Edith Wharton for The Classics Circuit. 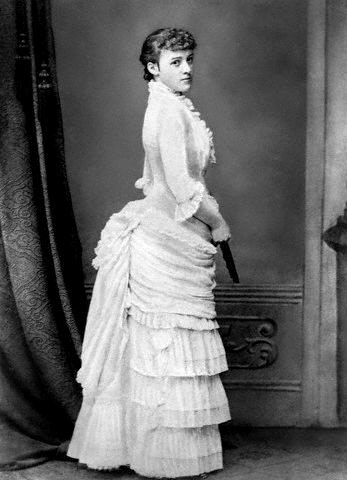 Edith Wharton is one of my favorite classic authors. Prior to signing up for this tour, I had read Summer, The Buccaneers, The House of Mirth and The Age of Innocence. I enjoyed them all and The Age of Innocence is one of my favorite books. I love the ornateness of Wharton’s subjects and time periods. Because I have enjoyed Wharton so much in the past, I jumped at the chance to participate in her tour. I have been meaning to read Ethan Frome for the longest time now, and while I figured it would be a popular choice for other tour members as well, I decided I needed to go for it anyway. Calling Wharton one of my favorite authors seemed a little disingenuous to me considering I had yet to read one of the works she is most well known for! Right off the bat it became clear to me that, in terms of backdrop and society, Ethan Frome is not like the majority of Wharton’s work. Instead of dealing with the high society rollers and the gilded age, the reader is transported to the farms of New England . Ethan Frome is a middle aged farmer who looks older and more jaded than his years. He is a secretive man who keeps to himself. The unnamed narrator of Ethan Frome immediately sets out to discover what grief has affected Ethan to such an extent. 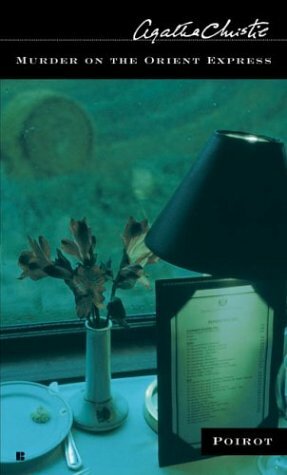 We are told right away that Ethan has been involved in some type of accident roughly a quarter century before, but the narrator is convinced it is of a deeper nature than what the other townsfolk seem to be aware of. With that assumption in place, the narrator sets out to find the truth about Ethan Frome. 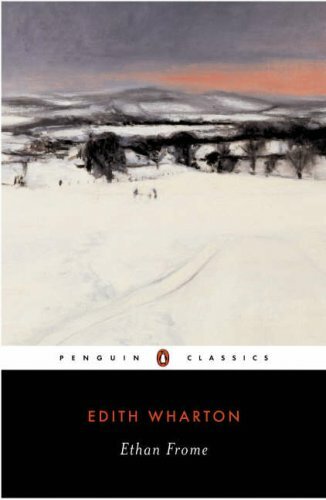 In terms of Wharton’s other works that I have read, Ethan Frome reminded me more of Summer in regards to the characters and the backdrop. Although I like Wharton’s work for her general aesthetic, I didn’t mind the change that took place in Ethan Frome. It was a very simple, engaging story. I read in the afterword that Wharton actually wrote the story as a French exercise to try to improve her language skills. I wish I had known that from the very beginning because it would have lent an entirely new angle to the story. Weather and scenery played a very symbolic part of the story. Much was made as to how Ethan had grown cold like the stark winters he endured. Generally, I am not one to relish descriptions of landscape. And I wouldn’t say I overly appreciated this aspect of the book on its own, however it did lend itself to the state of Ethan’s emotions. On the other hand, the descriptions didn’t grate on my nerves as they may have in other stories. I believe this had to do with the fact that Wharton displayed a fine balance between dialogue, character interaction and descriptions. When I had been there a little longer, and had seen this phase of crystal clearness followed by long stretches of sunless cold; when the storms of February had pitched their white tents about the devoted village and the wild cavalry of March winds had charged down to their support; I began to understand why Starkfield emerged from its six months’ siege like a starved garrison capitulating without quarter. Overall, I was charmed with Ethan Frome. I don’t think it is Wharton’s best novel, but I think it is nice to read something a little different. Ethan Frome is the embodiment of tragic love, which is a popular theme with Wharton, but other than that the book is very different from Wharton’s usual style. I have had The Woman in White on my shelf for at least a year. I’d been wanting to read it but it never made its way to the top of the pile. So when I signed up for RIP IV I thought perfect! And I added it to my list of books. And then I still didn’t get to it! So when the Classics Circuit decided to start off with Wilkie Collins. I knew this would be the absolute motivating factor. Only problem is, seems like everyone and their brother has already reviewed this book, so my hope is to share some new information that you may not have read yet. 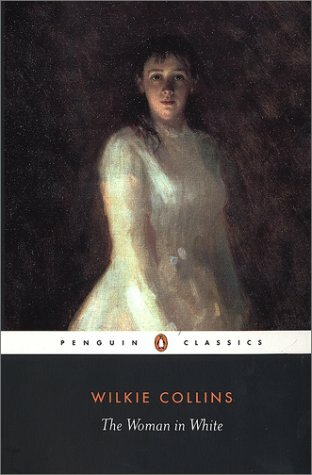 The Woman in White was written by Collins in 1859 and published as a serial novel in 1859-60. In my mind, this is quite a feat–writing a serialization must be quite different than writing a novel. Collins knew he had to write the novel in a way that would be easily broken up–each part had to be memorable and leave the reader wanting more, which is why writing a mystery probably made the most sense. The Woman in White is a compilation of the thoughts and experiences of a myriad of characters, but it all begins with Walter Hartright. Hartright is traveling alone one night when he comes across a woman dressed all in white who is apparently fleeing from someone. Hartright comes to find out she has just escaped from an asylum. His time with the woman is fleeting and she is gone before he knows it. The next day Hartright goes away to tutor two sisters, Marian and Laura. The two are half-sisters and completely different from one another–Laura is beautiful but flighty and weak, wheras Marian is the sensible and firm one. Hartwright becomes very close to the sisters, quickly falling in love with Laura. At the same time, the mystery of the woman in white is quickly unraveling. That’s only the tip of the iceberg. The Woman in White is practically 500 pages and I have just barely touched on the plot. As I stated before, Collins felt it necessary to include a lot of information early on in the book, with the mystery continuing to become clearer and clearer, because writing the book that way lent itself to a serial publication. In that sense, it is hard to summarize the book without giving away too much, so I will stop while I am ahead. 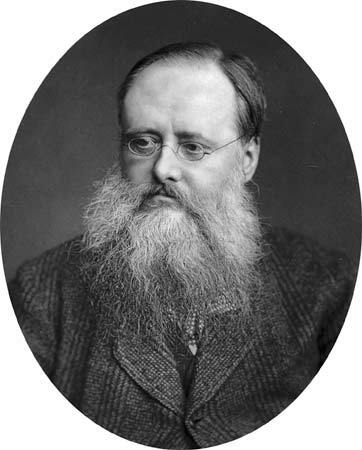 I found an interesting article/letter in which Wilkie Collins discussed his method of writing. I have included an excerpt below, but for more information you can find the article in its entirety here. Please be aware that the following excerpt contains some spoilers. My first proceeding is to get my central idea — the pivot on which the story turns. The central idea of “The Woman In White” is the idea of a conspiracy in private life, in which circumstances are so handled as to rob a woman of her identity by confounding her with another woman, sufficiently like her in personal appearance to answer the wicked purpose. The destruction of her identity represents a first division of the story; and the recovery of her identity marks a second division. My central idea suggests some of my chief characters. A clever devil must conduct the conspiracy. Male devil? or female devil? The sort of wickedness wanted seems to be a man’s wickedness. Perhaps a foreign man. Count Fosco faintly shows himself to me, before I know his name. I let him wait, and begin to think about the two women. They must be both innocent and both interesting. Lady Glyde dawns on me as one of the innocent victims. I try to discover the other — and fail. I devote the try what a walk will do for me — and fail. I devote the evening to a new effort — and fail. Experience tells me to take no more trouble about it, and leave that other woman to come of her own accord. The next morning, before I have been awake in my bed for more than ten minutes, my perverse brains set to work without consulting me. Poor Anne Catherick comes into the room, and says: “Try me”. 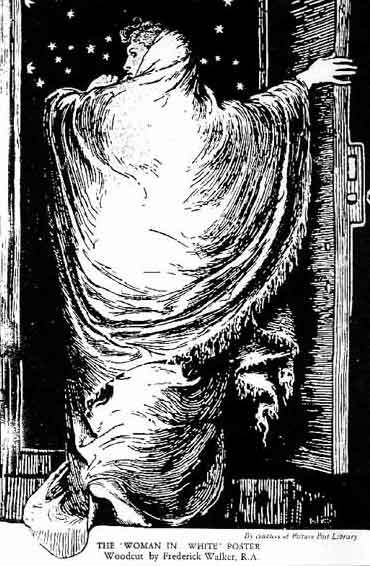 Because The Woman in White is lauded as one of the first mysteries, I find Collins’ writing process to be especially intriguing. The entire letter is quite interesting and I could have quoted practically the whole thing, but for the sake of time and place I went ahead and kept it short. I know it seems that classics can be trying at times–I certainly feel that way. Since I graduated from college two years ago, I have been remiss in reading classics but the effort and time involved puts me off a lot of the time. If you’re willing to make just the tiniest bit of effort though, I would recommend picking up The Woman in White. As far as classics go, it is readable and engaging and of all the reviews I have read recently on other blogs, I can’t recall even one negative review. To find tour dates for the Wilkie Collins tour, look here. 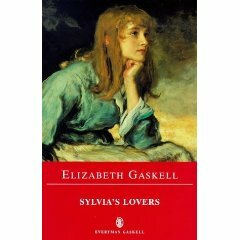 My teaser this week is from Sylvia’s Lovers, by Elizabeth Gaskell, which I am reading for the Classics Circuit. Sylvia was full of the specksioneer and his stories, when Hepburn came to give her the next lesson. But the prospect of a little sensible commendation for writing a whole page of flourishing “Abednegos”, had lost the slight charm it had ever possessed. She was much more inclined to try and elicit some sympathy in her interest in the perils and adventures of the northern seas, than to bend and control her mind to the right formation of letters.